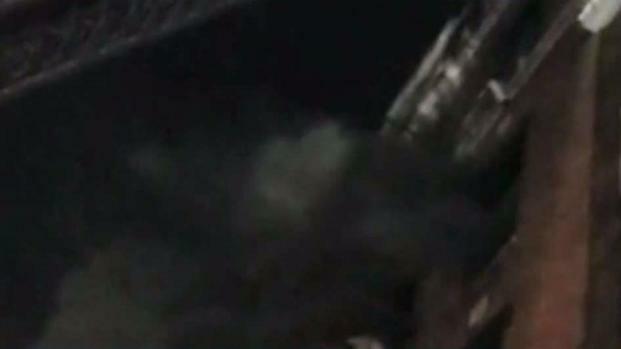 New Yorkers who witnessed the fast-moving fire in the Bronx that killed at least a dozen people described the horror they saw unfolding right before their eyes. Among the 12 dead were several children, including a 1-year-old, officials familiar with the investigation told NBC 4 New York. Four other people were in critical condition and 12 more were rescued. Authorities said Friday the blaze on Prospect Avenue was sparked by a toddler playing with the stove in his first-floor kitchen. The child's mother left the apartment door open when she fled the flaming room, officials said, and the fire spread rapidly up the stairs. Witness Rafael Gonzalez said he saw the flames quickly leaping from apartment to apartment in the five-story, 25-unit building near the Bronx Zoo. He described how residents including children could be seen running for their lives down fire escapes -- some without shoes amid temperatures in the low teens and even colder wind chills. Another witness said she a bunch of people with burns on their bodies as they were being helped by first-responders. Thierno Diallo, 59, a security guard originally from Conakry, Guinea, who lives in a ground floor apartment said he was asleep when he heard banging on the door. It took him a moment to realize what was happening. "Only when I heard people screaming, 'There's a fire in the building!'" he said. "I heard somebody, 'Oh! Fire! Fire! Fire!'" He ran out in his bathrobe, jacket and sandals. 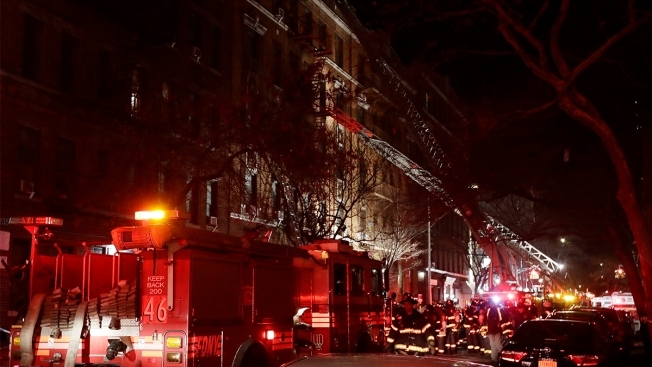 Twelve people were killed in a fast-moving fire that ripped through a five-story apartment building, officials say. Ray Villeda reports. Kenneth Kodua, 37, said he left his apartment to get food, leaving his roommate behind, and came back to find people fleeing in a panic. Hours later, he was still trying to find out whether his roommate escaped. "I tried calling her. I tried calling. No answer," he said, still clutching his bag of uneaten food. His phone was dead. Twum Bredu, 61, arrived in the neighborhood looking for his brother, who had been staying with a family in the building. The family, a husband and wife and four children, got out. But there was no word yet about his brother. "I've been calling his phone, it's ringing, but nobody picks up," Bredu said. "He was in his room, and we don't know what happened." 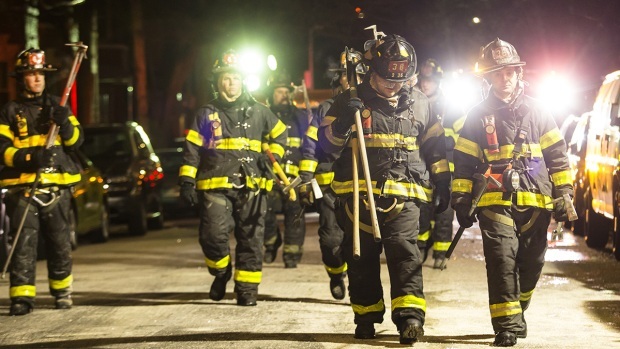 It was the worst fire in New York City since 87 people were killed at a social club fire in the Bronx in 1990. 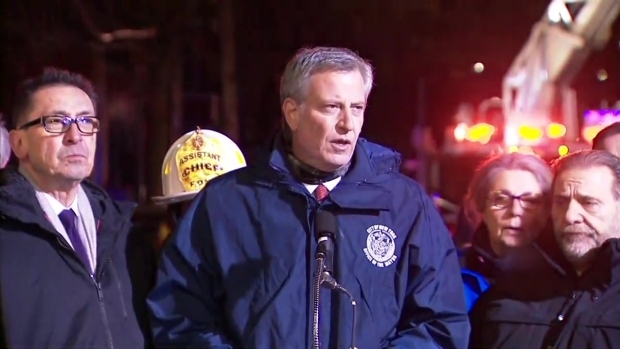 Mayor de Blasio conducts a news conference on the fire in the Bronx that left a dozen people dead.